The health and safety of anyone that works for your franchise business is your responsibility. If you intend to employ more than five people in your new enterprise you must create and publish a health and safety policy. This document is part of the education that you can offer your staff to help them avoid hazards and accidents. One of the main components of this policy is the risk assessment you must perform to identify any hazards that could affect your employees. Many smaller enterprises believe that performing a risk assessment is a drain on their resources. Performing a risk assessment ensures your business complies will all the relevant employment law. Even if you don’t have to create a health and safety policy because your business is very small, completing the assessment anyway illustrates that you are a responsible employer. More information is available from the Health & Safety Executive (HSE) by telephoning their information line on: 0845 345 0055. 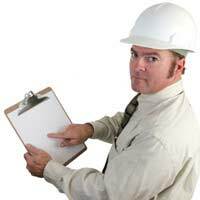 In essence, a risk assessment is simply looking closely at your business and identifying any potential hazards. These can be obvious ones such as cables that could be tripped over, hazardous chemicals that could cause harm, or working at heights without adequate safety equipment. Remember, if an accident does occur and your business is found to have not taken all possible precautions to prevent that accident, your business could be fined and also sued by your employee via an employment tribunal. If you run a very small business you may be confident that you can complete the risk assessment yourself. The alternative it to hire a consultant that can carry out the assessment for you. There is a set procedure that you can move through in order to identify any risks in your business. This procedure is covered in more detail in the HSE booklet ‘Five steps to risk assessment.’ You can download this guide from the HSE website. Not all potential hazards will affect all of your employees. Think about the different types of hazards in your business and who they could impact on. Don’t forget how the general public could be affected by your business, and also any other businesses you might share premises with. Now that you know the groups of hazards within your business and the people that these may impact on, you now need to allocate resources and decide what to do about these issues. The law states that you must do everything ‘reasonably practicable’ to protect anyone that has employment with your business. The HSE website has masses of information. You could also contact Workplace Health Connect (Tel: 0845 609 6006) a free service to help smaller enterprises with their health and safety issues. The information you now have will enable you to complete your health and safety policy document. This should note all the hazards you have identified and the steps you have - or intend to take in - order to make those hazards safe. Don’t try and fix all the problems at once. Draw up a plan that will allocate your business’s resources to tackle the most serious issues first. Risk assessment isn’t a one-off business activity. It is vitally important that you regularly review your risk assessment to ensure that it is up-to-date and covers any new hazards that may have developed since your last assessment. Regular risk assessment should be part of the regular operating procedures within your business. The education of your workforce to identify and prevent accidents is essential. If you allocate enough resources to your assessment you can create a safe working environment for all your employees, and ensure you comply with all of the current regulations.